Roger Lee Miller, 93, passed away January 18, 2019. Born June 3, 1925 in Bloomington, IN. He relocated to Florida, where he married Patricia Baker during the hurricane of 1950. In 1972 they opened Miller Furniture in downtown Bradenton which operated until 1999. 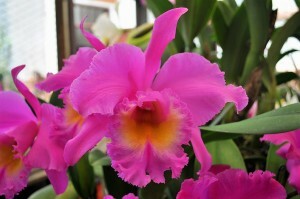 Roger's love of orchids made him well known among orchid enthusiasts. He spent many years growing, judging and showing his collection. He was also a past president of the Manatee Orchid Society. He is predeceased by his wife Pat and his son Gary. He is survived by his son William(Heidi) Miller, his foster son Jorge Omeechevarria, 3 Grandchildren Joshua (Tracy), Ryan (Abby) and Sarah, two Great-Grandchildren Aunica and Jordan, his dear friend Carole Douglas and many others. Special thanks to Roberta Jackson and the entire staff of Serenity Gardens and Tidewell Hospice for the great care they gave Roger.